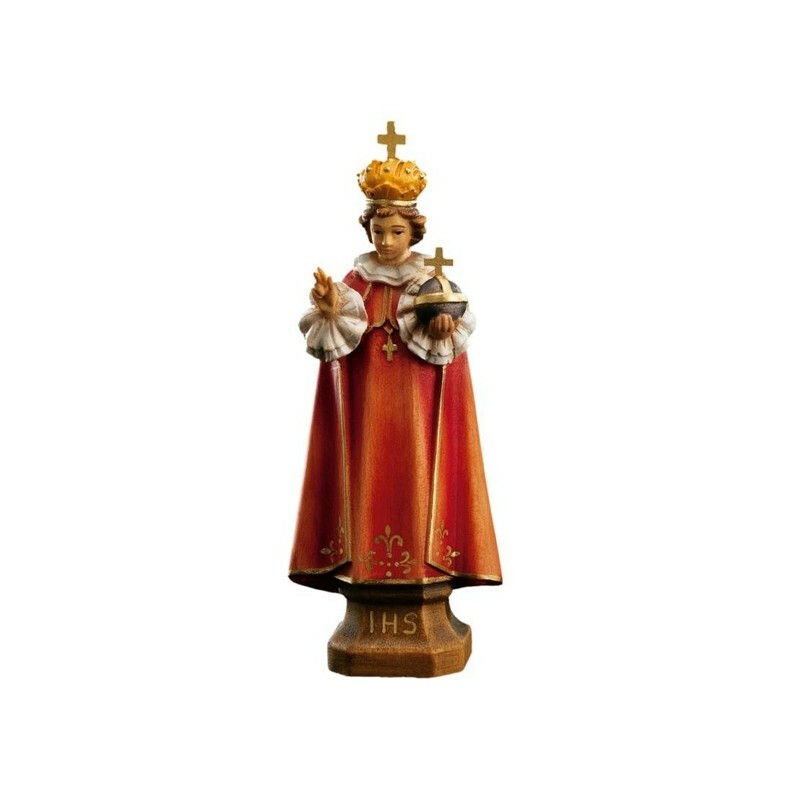 Baby of Prague's wooden statue, handmade in Italy. 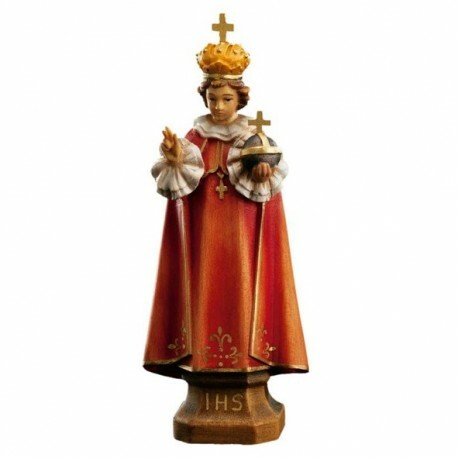 Wooden statue of the Baby of Prague, handmade in Italy. Available in various dimensions. Wooden statue of the Baby of Prague, sculpted in lime wood, handpainted with oil colors, to show the vain and the brightness of the sculpted wood. Available in various dimensions. The imagine of the Baby hails from the XVI century and it was made by a Spanish sculptur with wood and wax. It came to Prague in 1628 with the Spanish Ambassador who gave it to the Order of the Discalced Carmelites in the Convento f Saint Mary of the Victory. The imagine of the Baby of Prague is worldwide venerated thanks to his miraculous fame. He is represented with a decorated red cloth, a golden crown on his head and in his hands he holds up a ball with a cross, which represents the world.